Cardi B became the first woman rapper to earn two Hot 100 number one songs after her Invasion of Privacy hit "I Like It" topped the charts this week. 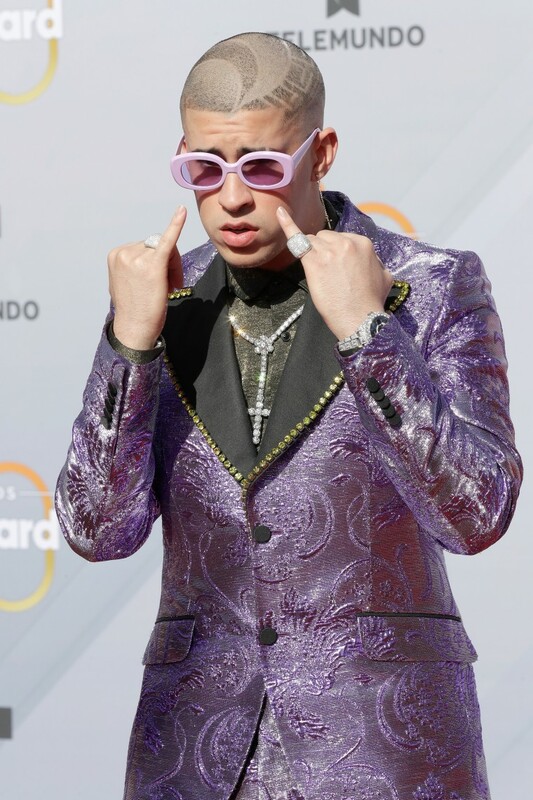 Bad Bunny, who is featured on the record, earned his first Hot 100 number one with the song, and had much to say about the achievement. The Latin trap star penned a letter to Billboard, in which he thanked Cardi B and J Balvin (who is also on the song), expressed some heartfelt emotions about his career up to date, and made a timely joke about Donald Trump's border wall. "Cardi B, J Balvin and I are three real people with our feet on the ground, I admire Cardi B for breaking so many barriers in culture, music and industry as such, just as J Balvin is accomplishing many great things," he wrote. Bad Bunny: "I still do not understand what is happening, I am very happy but trying to process everything and see it as it really is. I only think that when you do what you do from the heart, life pays you in blessings. Cardi B, J Balvin and I are three real people with our feet on the ground, I admire Cardi B for breaking so many barriers in culture, music and industry as such, just as J Balvin is accomplishing many great things. Well, I just started my career two years ago and achieving things like that only make me think about the next step, the next goal, that I will never run out, I WILL NEVER STOP DREAMING. To say that the best two things of all this is with the people that share this achievement, I love that this has happened with Cardi and J Balvin, and the other was to be able to wear the shirt of the baseball team of my country PUERTO RICO! So that the world knows that I’m a BORICUA! Latino Gang!!! I already understand why Trump wants to build a wall, it is because he knows that Latinos will conquer the world and he is afraid!!!"